New investment quarter has started. The agency has received 9 new project, therefore now the PAIiIZ leads 175 investments in total. If all the projects, which total value equals to 3271,85 million euro, are implements, there will be 32 197 of new vacancies created in Poland. Since the beginning of the year, the agency has implemented 10 projects (162,14 million euro of total value and 2 697 new vacancies). 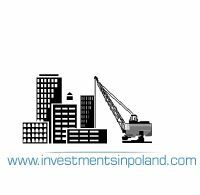 Those investors, who decided to invest to Poland have business in the following fields: aircrafts, BPO, entertaining-scientific, automotive industry, ICT and food processing industry. The AHK Polska has published the data based on the 10th cyclical poll; a survey. which had been made among the foreign investors. According to the survey, for the third time, Poland has been chosen the best destination for the investors in Eastern Europe. As the chairman of the PAIiIZ Sławomir Majmam noted, receiving a gold medal is not something extraordinary, while being awarded for the third time is a real achievement. The potential of Eastern European countries was evaluated by 116 entrepreneurships, which have business in the all regional throughout all of Poland. In the final evaluation, getting 4 points in total, Poland beat the following countries: Czech Republic (4 points), Estonia (4,97 points and Slovakia (2,96 points). The results of the anniversary survey made by the AHK show that the foreign investors are pleased to work in Poland. About 95% percept of the respondents say that their companies are doing well. Michale Kern, the general director of the AHK Polska, says that it is worth emphasizing that 95% of the companies, who took part in this survey, affirmed their will to choose Poland as an investment destination country if they had to do made the decision today. The majority of completed projects in first quarter of 2015 are represented by BBS, R&D, ICT, automotive, aerospace, electronics and home appliances sectors. The total value of 8 projects reached €153.14m. Due to them, even 2,637 new jobs can be created. Among 170 ongoing investments supported by the Agency, BPO and automotive sectors predominates. Each of the sector runs 32 projects. Next are: R&D with 19 projects, aviation with 13 projects and food sector with 12 projects. The total value of ongoing projects reaches €3065.45 m. Those investments may created even 30,061 new jobs in the future. “For the first time in the history, Poland has been promoting itself as medical tourism destination. Due to the international promotion of the medical tourism sector, that lasted for 3 years, foreign audience discovered the potential of our country”, said PhD Ada Kostrz - Kostecka, head of the programme of promotion of Polish medical tourism on International markets 2012-2015 that was provided in cooperation of PAIIIZ. The conference summarizing the project was held on 18 March in PAIiIZ. Representatives of medical tourism sector abroad and foreign journalist who visited Poland during study visits assess the offer of Polish medical tourism as very good. 12 trade fairs. Randstad presented the 25th quarterly report entitled “Employers’ plans”. This is a useful compass for employees. This time the plans of employment are the most optimistic since 6 years”, commented PAIiIZ president Sławomir Majman during the conference held on 9 March. The first part of 2015 is expected to be very optimistic regarding the employment market. The percentage of employers willing to create new jobs (30%) is the highest since six years – in went up by 4% q/q. Also the number of companies planning to increase salaries in growing. Moreover, despite the lack of enthusiasm among entrepreneurs regarding the economic condition of Poland, there is a rising trend in defining the situation of their companies as good or very good. This is the following day since the middle of the last year when the indexes reached their maximum. The WIG20 ended up with 0,5 percent up and reached 2550 points. Shares of PZU were of big interest and became 1,59 percent more expensive and cost up to 427 per share in the end of the day. This is the highest rate in company’s history. Those investors who possess shares of the biggest Polish insurance company gained 46 percent since the beginning of the year. What causes the growth? PZU had good financial results this year. During the third quarter the net profit grew up to 1,12 billions of PLN, mainly thanks to growing share prices at Warsaw exchange Stock and good valuation of the bonds. The development of IT industry in the capital of Lower Silesia is remarkable and noteworthy; more and more companies announce new vacancies for work in their branches based in Wroclaw. One of the last examples is Sii, which is going to double the number of workers in their branch office located in our city. Those who are employed at branch office of Sii based in Wroclaw, work for clients from diverse industries including automotive industry, as well as banking and insurance sectors. They work at IT helpdesks, support customers using over 300 applications, administrate business support systems, develop software etc. Wroclaw's office was the third in Poland after Warsaw and Gdansk – now it is one six in the whole country. Nexteer Automotive will invest in Poland. Concern NExteeer Automative, which biggest factory plants are in Poland, will invest about 12 millions of USD in new testing infrastructure, which should help to invent and develop smoother and more quite electric steering systems for hybrid and electric vehicles. The investments in technology have to give hybrid and electric models of vehicles, produced by international companies, improvement in driving comfort. Automobiles produced today are known to have less noise inside the vehicle. Not only noise reduction of the engine compartment or car interior influence on the noiseless, but also the usage of hybrid and electric propulsion system, as well as start-stop systems for instance. As Nexteer Automotive engineers note, reduction of noise decibels made by the engine led onto noise reduction of other components, as well as steering systems. Currently, Polish Information and Foreign Investment Agency (PIFIA) is in charge of 152 investment projects. Total value of planned investments may reach nearly 3 mln euro, whereas the amount of 32 000 new vacancies can be made. The Agency is in charge of 38 projects originating from the United States, 29 German projects as well as 10 projects from Great Britain. Among the others, there are investors from France and Japan (9 projects from each country), as well as China, India, Switzerland and South Korea (6 projects from each country). According to the information from MIoR, its officials would like to start with two helicopters equipped with traffic enforcement cameras for the beginning, and later even more, some of them would probably be unmanned aerial vehicles. According to the official reports, the process of purchasing the machineries is currently carried out. These changes are possible thanks to the amendments in the Law of road traffic and its advanced chapter number 129. “At the design stage of central system of automatic traffic surveillance, a careful consideration was given to the possibility to officially authorize MIoR to record traffic offenses from the deck of an aircraft.” says the press secretary of MIoR, Jan Mroz. Thanks to UEFA Euro 2012 the image of Poland will be changed. We impress foreigners hospitality, frankness and modernity. Coupons will be cut off through the years – said Rafał Szmytke, president of Polish Tourism Organization (POT). Filip Frydrykiewicz, Turystyka.rp.pl: Are you glad that we went out to the Euro? German daily newspapers report that it started to cloud over Polish economy, which had recently begun to shrink. They compare today’s recession with the crisis of 2009 and claim that the situation today is even worse than it was. According to today’s German daily newspaper Handelsblatt – the country, thought to be the economy engine, does not produce anymore steam. Poland, being the only European Union county which was not affected by the world crisis in 2009, is apparently losing the economy burst. According to the data from Central Statistical Office – the GDP of the third quarter of this year increased in no more that 0,4 percent in comparison to the previous quarter. It was not so bad even in critical 2009 – during the world economy crisis. During the downturn, when all EU countries were in recession, Polish GDP increased in 1,7 percent. The daily reports that according to the Central Statistical Office the situation is getting even worse due to significant reduction in domestic demand that used to be a driving factor for economic growth in Poland, which rate was immensely higher than the average one in EU. In the meantime, according to media reports, the majority of Poles are afraid of upcoming crisis , save up and drastically cut expenditures. As stated in an article published in Financial Times Deutschland, the fact that quantity of foreign orders and employment increased in comparison with the previous month – will not have a notable impact on the existing situation. As every year, Wprost published a list of 100 richest Poles. With one of them, we will soon do for you interview. Meanwhile, let's look at the list. According to the Portuguese weekly newspaper Expresso - Poland is a gate for investors from Portugal, who are planing to invest in Ukraine, Lithuania, Belarus and Russia. The newspaper notes that Polish economy has achieved immensly good results. The average growth of GDP in Poland between 2003 and 2008 was 5.2% annually. Meanwhile, in 2009 Poland was the only country which avoided recession. It is also mentioned that the values of Portuguese Investments in Poland are systematically growing. The newspaper reports that the values of the investments between 2007 and 2011 continued to grow and increased to 721 millions of euro. Slawomikr Nowak, the Minister of Transport, Construction and Maritime Economy, declared that a trip from Wroclaw to Warsaw in 2014 will take 3,5 hours. This means that a journey from the capital to Czestochowa will take 2 hours, which is more than one hour faster than it is today. The trip duration from Gdynia to Warsaw will also be reduced. About 1 billion PLN will be spent for renovation and revitalization of train stations.